For this week’s A-Z Archive the featured letter is “J”. 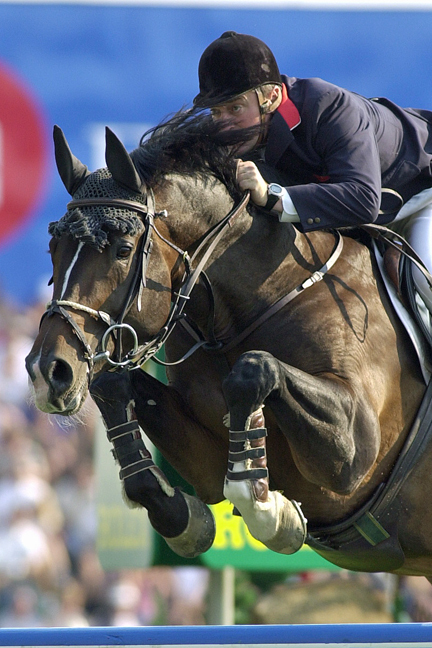 Since the sport of show jumping is my focus, I thought I’d post one of my all-time favorite jumping shots. I took this image of British show jumper Robert Smith aboard Marius Claudius during the Bank of Montreal Nations Cup at the 2010 Spruce Meadows Masters in Calgary, Alberta. The stallion is jumping in perfect form, and the horse and rider share the same focused and intent expression that reveals the depth of their partnership. You can truly see through this image that they both enjoy what they’re doing, and that’s the moment I love to capture! thank you for joining the j photo challenge! My pleasure! Thank you for hosting—it’s a fun way to think creatively about your photo archives! Thank you! Yes, that’s the feeling I have with the photo…you can really tell he’s up to the task and it’s easy for him. This is an incredible shot–amazing! Thank you, Patti! I appreciate your comment! You certainly did a fine job with this one!!!! Thank you, David! It’s fun when it all comes together!